Owning a reliable used car in Denver makes all the difference. It means the end to waiting at south Denver bus stops or enduring the cold during the long walk to work. It means being able to go where you want, when you want. Auto financing is an option nearly everyone has access to, and yet so many people let bad credit stop them. Don't let your credit history keep you from having a better life. Instead, you should consider one of your local Denver buy here pay here dealerships. Buy here pay here car lots are independent dealerships that offer special financing. They allow car buyers to make their purchases directly from the dealerships. This method of direct buying means that dealers don't need to check your credit history. All they need is your income and employment information. Then, they will arrange a payment schedule with you, and you pay them either weekly or bi-weekly, directly at the dealership. So, you will want to consider the location of the dealership you work with. For example, if you live near or in South Colorado Springs, you probably won't want to drive to North Denver in order to make your payments. These types of programs do carry higher than usual interest rates though, due to the fact that BHPH dealers don't go through the typical lending channels of banks and credit unions to fund your auto loan. Also, you will want to keep in mind that the vehicles on a BHPH lot will mostly consist of reliable, pre-owned used cars. That means you may need to rethink your expectations if you're looking for a brand new automobile. You've probably seen buy here pay here dealerships along South Broadway or along West Colfax Ave, or elsewhere in west Denver and have never even known it. Well, now you know that these places exist, and you're aware of how to find them. 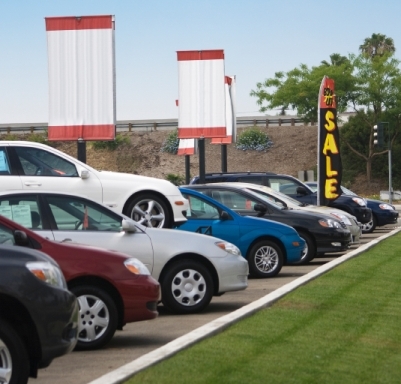 What are the Advantages of BHPH Car Lots? p> Since the dealer is both the seller and financer, there aren't a lot of steps to the BHPH buying process. Just submit your identification, income and employment details, and as long as you meet the minimum requirements, you should be able to buy a car. In general, this means that the dealer has more flexibility to get you into the vehicle you need. These are what make these types of dealers attractive to people who have had their credit severely damaged from a past bankruptcy or auto repossession. This can be great news if you have ever been turned down for an auto loan in the past, but the trade off comes in the form of increased interest rates and a higher down payment to cover the increased risk of default. Stop wasting your time running from dealer to dealer. All you need to do is fill out our fast, easy and secure loan request form. To start, just click the banner below, and let Auto Credit Express connect you with the best Buy Here Pay Here dealer near you.